Dental implants have revolutionized the field of tooth restoration in recent years, allowing patients to retain the look and feel of their natural teeth without dentures. In fact, dental implants are the leading solution for tooth restoration, whether you’re having one tooth replaced, or a whole mouthful. Dr. Ricky Singh is thrilled to offer affordable cosmetic dentistry solutions including dental implants in Berkeley where he has been doing so for the last decade. 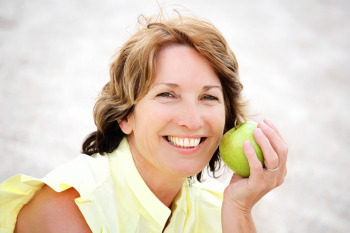 Dental implants offer our Berkeley patients many significant advancements over traditional dentures. They give all patients, young and old, a chance for better oral health. ● Dental implants work to minimize bone loss, keeping your mouth healthy. ● Because dental implants fuse with the underlying bone, they help maintain your natural jaw structure, and they look and feel like your real teeth. ● Dental implants do away with the use of potentially hazardous and often costly adhesives that are often used to hold dentures in place. ● There are no unattractive metal clasps so that you can smile fully and confidently. ● There are no dietary restrictions. Your new implants will be as strong and as functional as your natural teeth. ● Dental implants are secure and won’t slip in your mouth the way dentures and partials often do. ● Dental implants won’t cover up your palate, so you will be able to taste and enjoy all of your favorite foods. ● They are easy to take care of — you just brush and floss your teeth normally, and schedule regular check-ups and cleanings with your dentist. ● Implant restorations are typically made of Zirconia, which is metal-free. Dental implants are made of Titanium and refers to the root portion of a missing tooth. They are surgically placed within the jawbone, eventually fusing with the underlying bone. This makes implants a strong anchor for the replacement tooth once the jaw has healed. Tooth restorations (crowns) are securely placed on top of titanium implants for a beautiful, natural finish. A lot of companies are now covering a portion of the dental implant procedure. MetLife, Delta, and Signa typically pay around 30-40%. We also offer CareCredit and Lending Club to help finance the procedure. Dr. Ricky Singh uses state-of-the-art computer-guided surgery to place dental implants. This procedure utilizes special 3D imaging, along with high-precision surgical guides to perfect the implant surgery. Dental implant surgery is safe, precise, and minimally invasive so that you can begin enjoying your beautiful, natural smile and teeth quickly. The comfort of our patients is a huge priority, and Dr. Singh offers sedation options in his Berkeley office that can make the whole process more comfortable. Our sedation options include Nitrous Oxide and oral conscious sedation. Nitrous Oxide is a good solution for patients who drive to our Berkeley office for their appointments, as the effects wear off within a few minutes of the procedure’s completion. For people suffering from greater dental anxiety, oral conscious sedation will help you relax before and during the procedure. It’s taken in the form of a pill 90 minutes before your appointment. With this option, you will need a driver to transport you to and from your appointment. Dental implants might be the perfect tooth replacement solution for you. Berkeley Implant Dentist, Dr. Ricky Singh is happy to meet with you for a free implant or implant supported denture consultation. Call today!